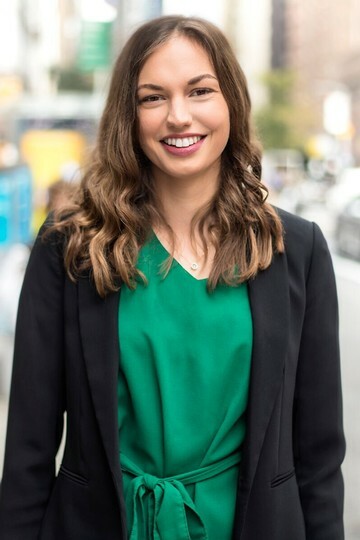 Whitney Furnholm joins REAL New York with experience supporting several creative campaigns through print and digital design. After college and working as a graphic designer on the Philly Main Line for a couple of years, she was drawn to the New York Area by the city’s dynamic atmosphere. Her skill set includes designing publications, logos and creating infographics using the Adobe Creative Cloud programs. Whitney is an efficient designer who utilizes strong communication skills to identify client needs. She embraces collaboration because it is the best way to create compelling designs. Whitney has worked with a variety of people including agents, engineers, business executives and other marketing professionals. Her goal is to achieve eye-catching, functional solutions for everyone involved with REAL New York. Originally from Vermont, Whitney received her B.S. in Graphic Design from Drexel University in Philadelphia.